Phoenix Comicon (PHXCC) is one of the biggest and grandest pop culture events in the southwest, and it gets larger every year. The event takes place annually around the end of May (or first part of June) at the Phoenix Convention Center in downtown Phoenix. 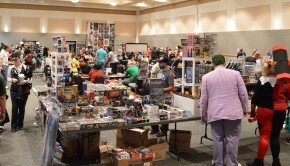 PHXCC boasts a wide array of panel discussions, parties, creative activities, film festivals, costuming events, games, celebrities, pop culture vendors and genre artisans, and, of course, comic books. Some of their signature events include the Zombie Walk, the Phoenix Ultimate Geek Smackdown (PUGS), Nerd Poetry Slam, and the Steampunk Fashion Show. 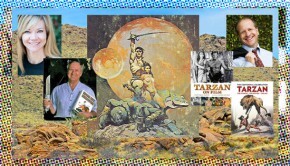 We attend the PHXCC every year and have a blast the entire weekend! 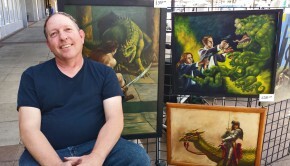 It’s a fantastic mix of comics, movies, Television, costumes, and local and national pop culture vendors. And did we mention the thousands of exciting photo opportunities? There’s that too! 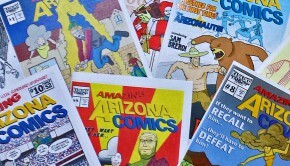 The 2016 Phoenix Comicon will be from June 2 – 5.